I have learnt a great deal from hands on experiences both living with dogs all my life and working with dogs for the last 19 years. I have worked with Wood Green animal shelter as a field officer and liaison officer and currently as a behaviour consultant and trainer for The Company of Animals. I am also a qualified dog groomer to City in Guilds standard. I have run classes and carried out home visits in the local area for the last 19 years. 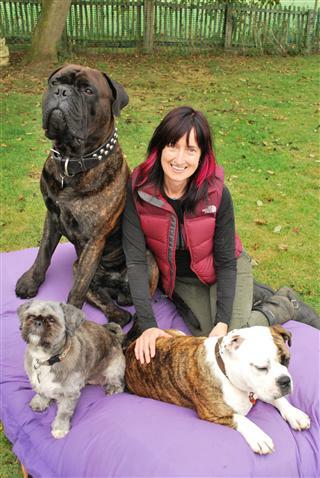 I have always attended seminars and training courses and gained many qualifications in the field of dog training and behaviour: I am always striving to learn more and constantly studying the subject. I regularly attend courses in advanced training techniques. 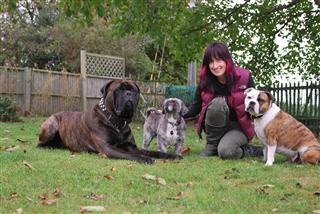 I am also a member of the APDT membership number 00687 and a member of Canine and Feline Behaviour Association (CFBA). 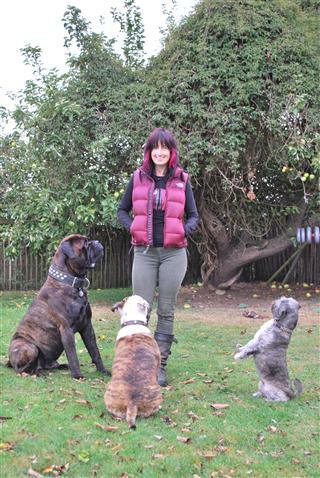 My method of dog training is to use a holistic approach and a working technology of science based animal behaviour (the learning theory) I believe in using kind, motivational techniques to achieve the required results. Over the past 19 years I have studied and trained with highly recognised trainers and behaviour counsellors such as Dr Roger Mugford, Ian Dunbar, Jean Donaldson, Pamela Reid, Sue Sternberg, Donna Duford and more. I have also worked along side vet Kendall Shepard, temperament testing dogs held under the Dangerous dogs act. And for Cancer and Bio detection dogs training and giving home support. 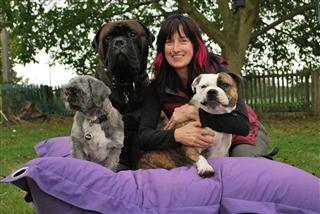 I train all breeds of dogs with equal enthusiasm but specialise in Bull breeds. I also supply a wide range of training aids and products. 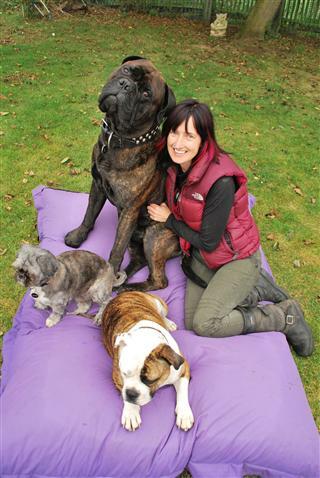 I am very passionate about my work and enjoy educating owners in skills to communicate and understand their dogs and thus improving many owners and dogs quality of life.